Timberrrrrrr! On Saturday afternoon, several concrete chunks fell to the ground from the dilapidated bridge over Lawrence at Lake Shore Drive. We're talking scary, lethal-sized slabs; one piece was approximately fifteen feet in length. It's a stroke of serendipity that no one happened to be walking or driving under the busy viaduct at the time, because there's a very real possibility that a death would have occurred. 911 was called and the police immediately shut down the westbound lanes under the bridge. CDOT came out and performed emergency repairs Saturday evening. A complete bridge inspection has been requested. ... it's in even worse shape now, with more exposed rebar and more corroded concrete. 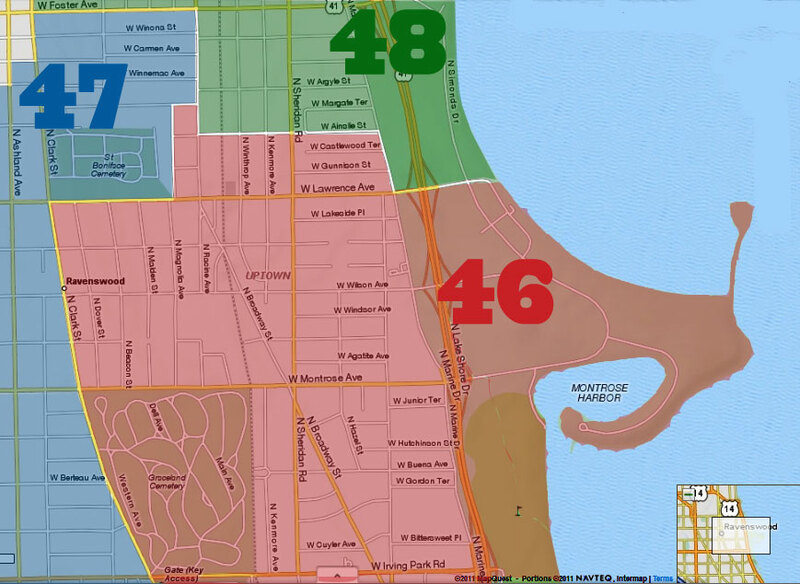 In November 2007, Ald. Mary Ann Smith said the Lawrence viaduct was her next priority. It didn't happen. In April 2008, CDOT held public meetings to address the issues with the bridges and the "construction schedule." Nothing happened. 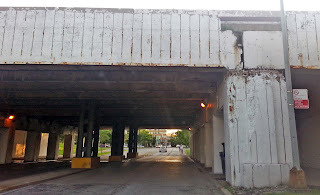 In March 2011, the Sun-Times listed structurally deficient bridges in Illinois by traffic volume, and Lawrence and Wilson were in the top five. Nothing happened. 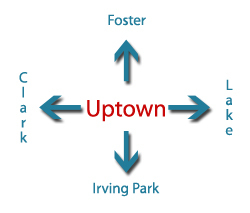 In September 2011, we learned they were in the 2011-2015 City Park Department capital budget and slated for replacement. It didn't happen. In November 2011, they were declared "structurally deficit" -- meaning they are in need of "critical maintenance or replacement." Nothing happened. Finally some plain talk. In March 2014, Ald. Cappleman wrote: "The State of Illinois has plans for rebuilding these bridges, but we expect it will take several more years for that funding to be released. Speaking for all of us, it can't start soon enough." True that. 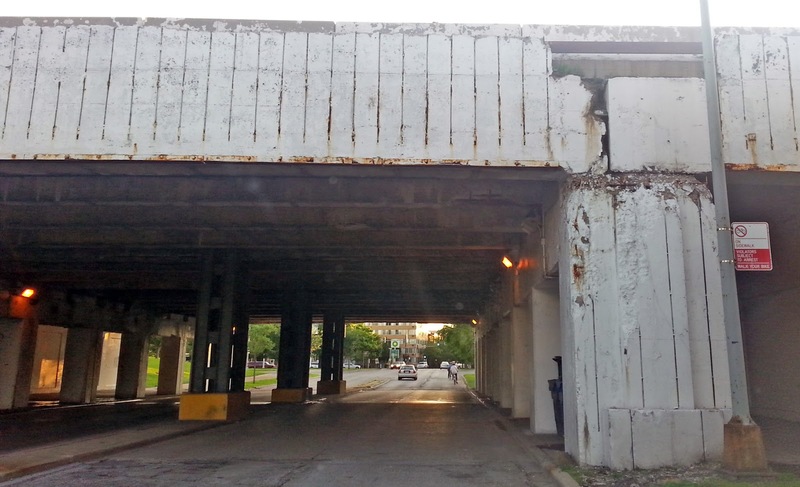 In July 2014, he wrote, "The work for these underpasses will need to last until the State of Illinois has sufficient funds to do the major overhaul of the bridges, which could be ten more years." Can these bridges, which are already dropping huge chunks of concrete, last another decade? The only action taken has been to bolster the medians with metal supports so the bridges don't collapse. 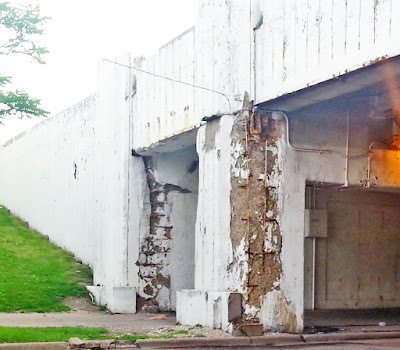 Nothing has been done to address the crumbling concrete. After this rainy spring, how much more can these bridges withstand? How many more 15-foot chunks are waiting to fall? We urge the city and state to take immediate action on these viaducts before more pieces of the bridge come crashing down. We know that money is an issue, but this is a no-brainer. Fix the bridges now and bear the cost -- or wait until they get even more decrepit and pay a grieving family for a wrongful death and fix the bridges then. These bridges are dangerous and clearly don't have another ten years in them, no matter what the State of Illinois budget problems are.